The LS could quite possibly convert gas-guzzlers to battery power, so impressive and addictive is the power pack’s extra boost. On paper the performance and economy stats aren’t too far away from a current top European diesel limo like the Audi A8 4.2 TDI, although no diesel rival can boast the techno kit or power delivery that the Lexus serves up. In terms of refinement, street cred and engaging handling, however, the Japanese pretender is still edged out by its European peers, but only just. 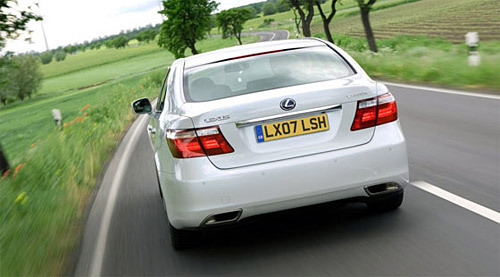 Most of their criticism was reserved for the LS 600hL’s formidable weight, its lack of trunk space and the less-than-ideal gas mileage, which seems to be a common thread in most reviews.